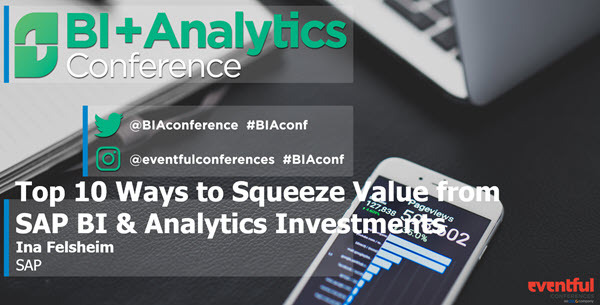 SAP’s Ina Felsheim will be presenting at BI+Analytics Conference (February 19-21) next month. Ina is presenting “Top 10 Ways to Squeeze Value from SAP BI & Analytics Investments”. This conference is not only in a great non-Orlando, non-Vegas location, but it also has a really nice assembly of customers focused entirely on BI. The networking and friendliness of the other attendees, SAP staff, and partners is really nice. And relaxed. What was your experience last year? Last year was the first year of the new format, and it all came together under a tight timeframe. 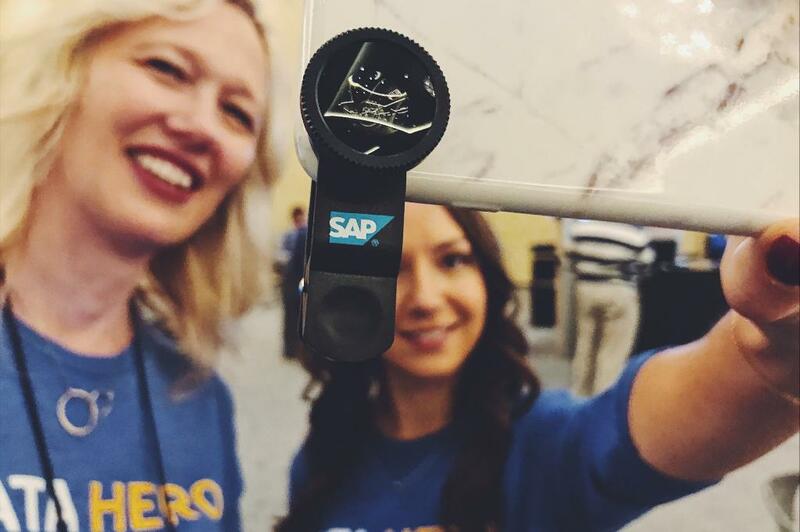 I love the approach of doing research with SAP and non-SAP customers to determine their hottest topics and then matching the content to the user requests. The sessions that I went to really bore out that the content was on-target. The customer sessions were high quality and very well attended. Can you tell us about your session(s) at the conference? So consider joining Ina​ next month in warm Huntington Beach, California.